Overview: If you are a Jewish author or specialize in writing about Jewish issues, you should consider reviewing this list of book fairs in the Jewish community. Book fairs are excellent places for authors to interact with the public as well as network with book industry leaders, publicists, and book editors. by Scott Lorenz Book festivals and fairs are held year round all over the world. As a book marketing specialist, I am the first to impress on authors the new and powerful marketing avenues open to all authors on the Internet – from websites and book trailers to social networks like Facebook, Twitter and YouTube. While these are excellent tools when used properly, authors should never overlook opportunities to meet the reading public face-to-face. If you are a Jewish author or specialize in writing about Jewish issues, you should consider visiting some of these book fairs in the Jewish community. Shalom Austin’s Austin Jewish Book Fair will be October 28 – November 4, 2012. The schedule features lectures and discussions with acclaimed writers, the annual Book Lover’s Luncheon, and an onsite bookstore in partnership with Barnes & Noble. The total cost for the Book Fair Package is: $25 JCC Member / $30 Non-member. Each individual event is: $10 JCC Member / $15 Non-member. Check out http://shalomaustin.org/bookfair for further information. Marcus JCC Atlanta’s 21st Edition of the Book Festival of the MJCCA will be November 1- 18, 2012. For 20 successful years, the Book Festival of the MJCCA has provided our community with a literary extravaganza featuring an exciting lineup of the year’s most exceptional authors, speakers, and celebrities. Please join thousands of your fellow book lovers to listen, meet, and interact with your favorite authors in a variety of forums, including author meet-and-greets, book signings, a community read, and panel discussions. Check out http://www.atlantajcc.org/specialevents/book-festival-of-the-mjcca/ for more details. Mandell JCC of Greater Hartford will host the 20th Annual Mandell JCC Jewish Book Festival – Celebrating Israel, Debuts, Dads & Dudes with events taking place November 18, 2012, January 23, 2013, March 16, 2013, and May 9, 2013. Please visit http://www.mandelljcc.org/index.php?src=gendocs&ref=JewishBookFestival for complete details. Columbus JCC is finalizing the fantastic 2012 line up for JCC Bookfair 2012! For more information about sponsorship contact Bookfair Director Debbie Vinocur at dvinocur@columbusjcc.org or 614.559.6214. Check http://columbusjcc.org/programs/cultural-arts/jewish-bookfair/ for updates as they become available. Evelyn Rubenstein Jewish Community Center in Houston, TX will be holding their 40th Annual Jewish Book & Arts Fair from Oct 28 – Nov 11, 2012. For a calendar of events and complete brochure, visit http://www.erjcchouston.org/index.php?src=gendocs&ref=BookAndArtsFair&category=Arts. JCC of Greater Washington will host the 43rd Annual Book Festival from November 1- 11, 2012. The festival will present an exciting line-up of best-selling authors as well as up and coming writers new to the literary scene. The nine-day Festival will be packed with engaging author events, children’s programs, book signings, and a bookstore brimming with Jewish must-reads. For details, to request a Book Festival brochure, or to join the Book Festival Committee, contact the Book Festival Director Lynn Gittleson at 301.348.3840 or lgittleson@jccgw.org or visit http://www.jccgw.org/template.php?section=BF. San Diego Center for Jewish Culture will host the San Diego Jewish Book Fair 2012 from November 3 – November 11, 2012. The San Diego Jewish Book Fair is the largest and most respected Jewish Book Fair in the nation and the largest literature-related event in San Diego County. For tickets and further information, visit http://tickets.lfjcc.org/eventperformances.asp?evt=160. Mandel JCC in Beachwood, Ohio will be celebrating the 13th Annual Festival of Jewish Books & Authors from November 4-18, 2012. Stay tuned for details and a full listing of authors, which will be announced this month! For information please contact Julie Frayman at jfrayman@mandeljcc.org or 216.831.0700 ext. 1316. 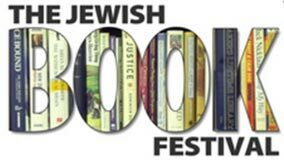 Please check back at http://www.mandeljcc.org/book-festival/festival-of-jewish-books-authors/ for announcements. JCC Dallas will host the J Book Fair October 11, 2012 – March 3, 2013. 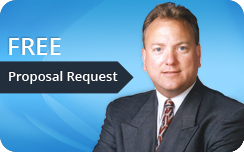 For more information, please contact Rachelle Weiss Crane at rweisscrane@jccdallas.org or 214.239.7128 or visit http://www.jccdallas.org/index.php.